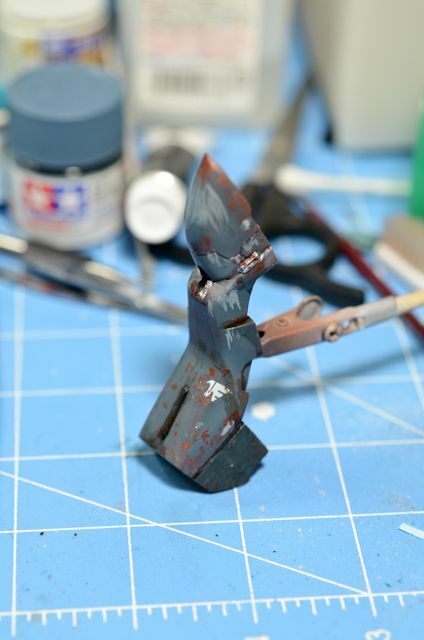 Weathering is a fun process that (in my opinion) is much more time consuming than a standard paintjob. The results, however, make it worth it if you are going for a grunge look. 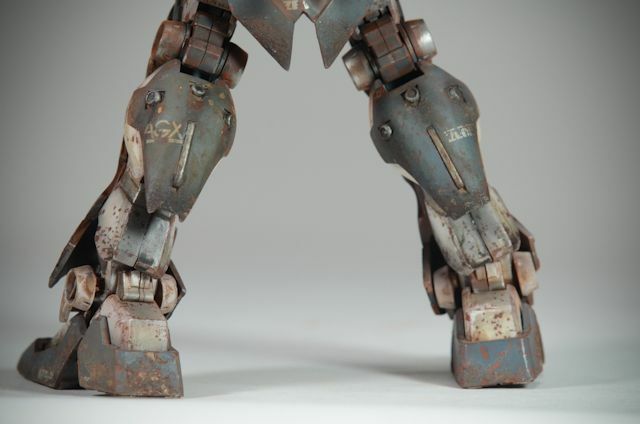 I'll go over what I think to be a decent weathering technique - I've taken inspiration from various sources, but I'd like to thank zLuca for inspiring me to even try weathering in the first place. 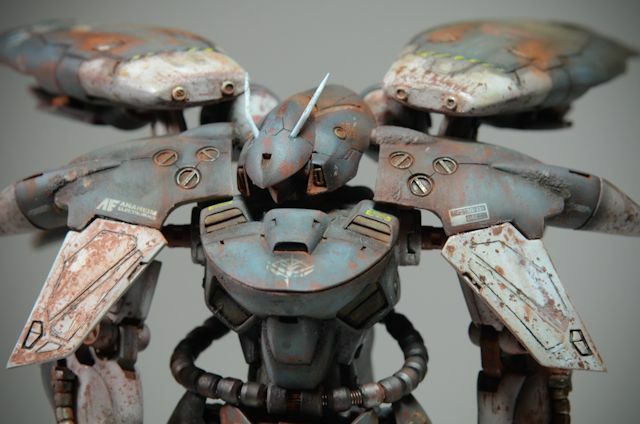 His amazing weathering can be found pretty much everywhere and it really is quite stellar. 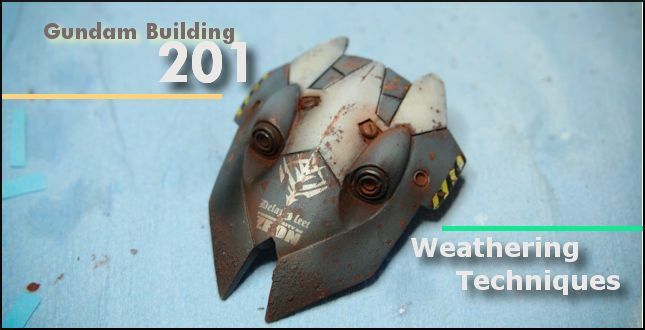 For this tutorial, I'll be showing you how to weather in rust and oils - not really an earth and mud weathering guide. I am not sure if gundanium rusts, nor do I care really - that argument can be had elsewhere. 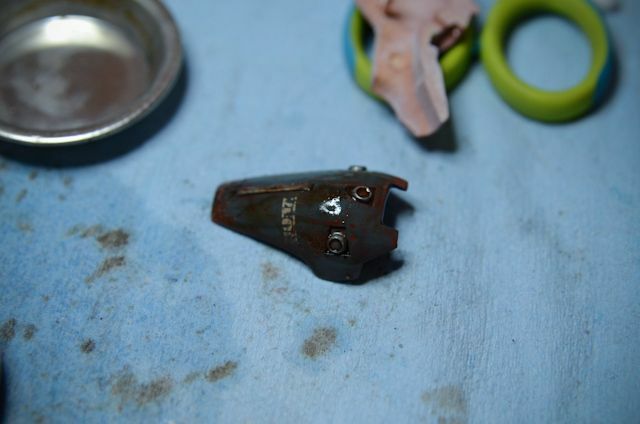 This is all just for the fun and love of the hobby, and asks... what if a gigantic machine was left out to rust? 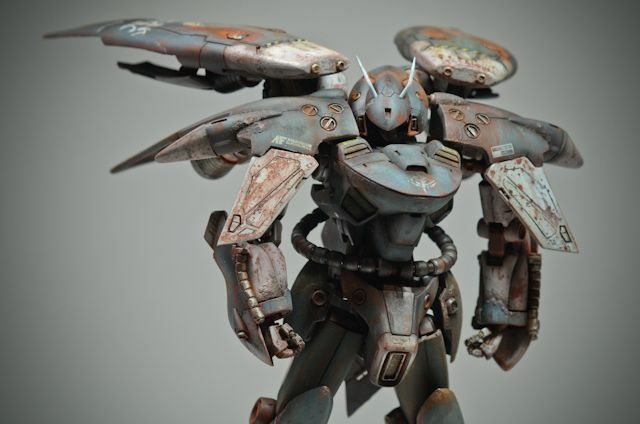 This tutorial will NOT be how to assemble or construct a model in any way. See my other tutorials for helpful information on how to do these other processes. - Rust pigments - I get the whole range (Dark, medium and light rust). I purchased the Vallejo Rust & Oil pigment set for under $20. 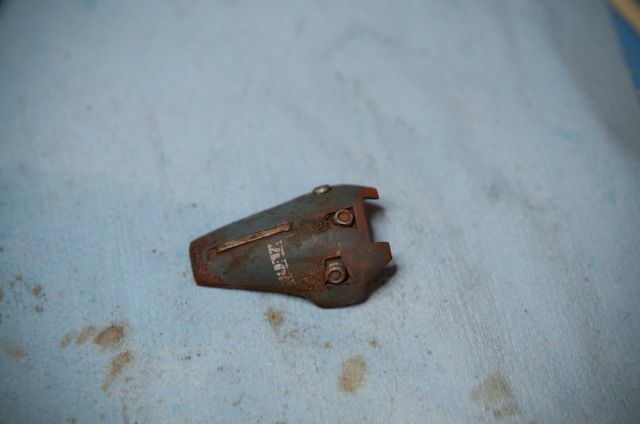 As you get the technique of this down, feel free to experiment on your own - just keep in mind the effect of gravity on all rust/oil/water stains and look at pictures to see how rust chips in real life. 1. Primer - Prime all of your parts. I love the plamo Colour primer. It has GREAT grip. 2. Create a granular effect near all places that would receive high wear. This is usually near the bottom of the feet, ankles, wrists, tail area, shoulder, shield, etc. I have the tutorial here: Gundam Building 101: Create a granular effect for texture (tutorial has yet to be built). 3. 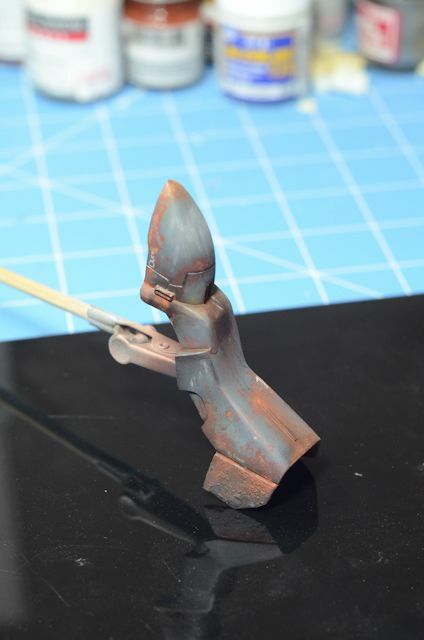 Paint a flat layer of rust over the entire part. 4. 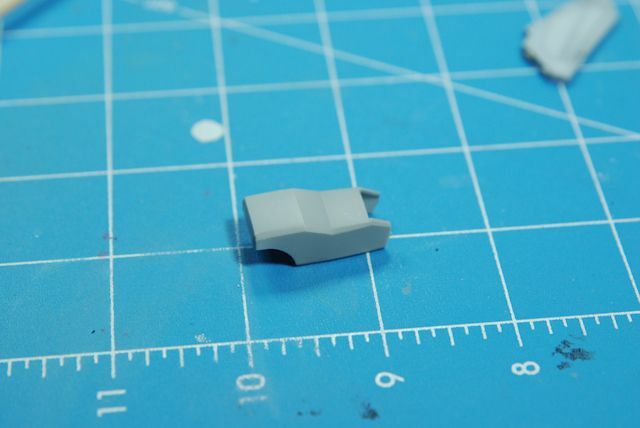 Seal this in with a coat of Satin (semi-gloss) Future mixed with Tamiya Acrylic Flat base. I use a 3:1 ratio (Future to base). 5. 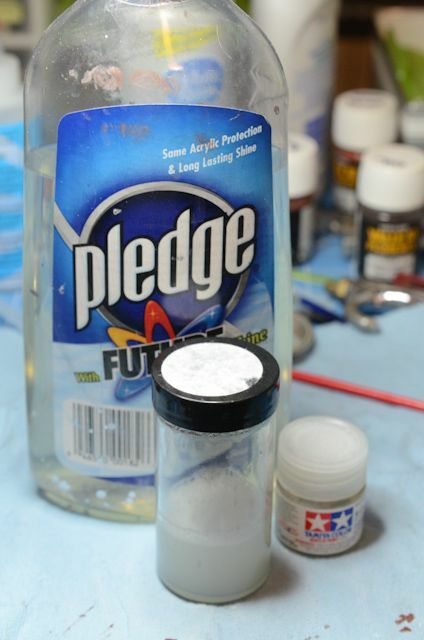 Begin Salting - Spray a thin layer of hairspray over the piece (I do 3-4 short bursts instead of a long spray), then put varying grits of salt over areas of the piece that would receive wear. 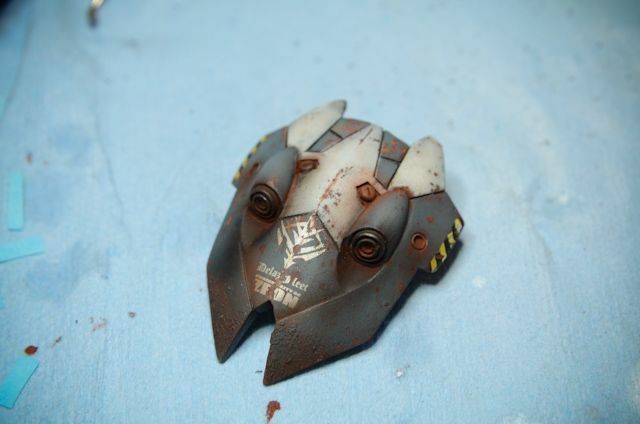 This would be in areas near vents, panel lines, and edges. It's easy to go overboard in this area, make sure you are choosy with where you put the salt. Let the pieces dry completely. 6. Paint your pieces. I use acrylics because they are easier to scrape in the later steps. Preshade if you would like. 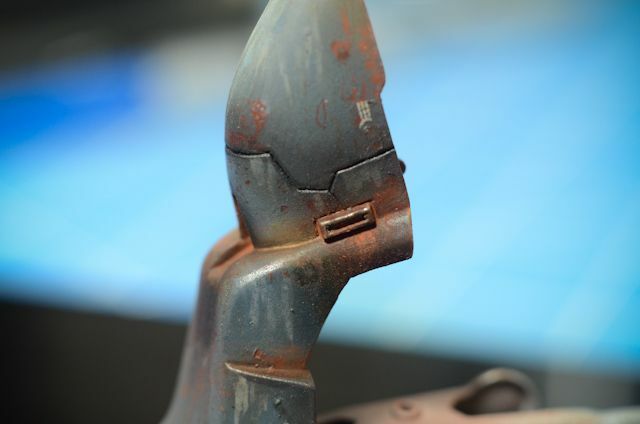 I recommend preshading around some areas of the rust like around the edges. This shows a natural fade on the paint. If you are going to have a large oil leak on a part, make sure to paint around where the part would have leaked significantly below it. 7. Using masking tape, tape over the areas you would like to paint accent colors. Do NOT remove any salt yet. This will ensure the rust color will come out behind the accent color too. 8. 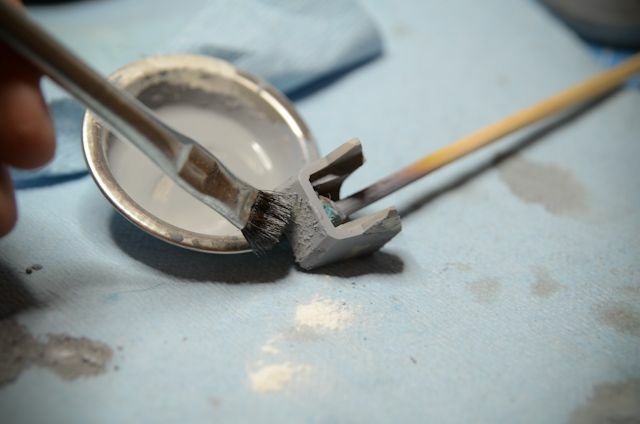 Once dry, dip your parts in water for a few seconds, and then use a toothbrush to remove the salt. 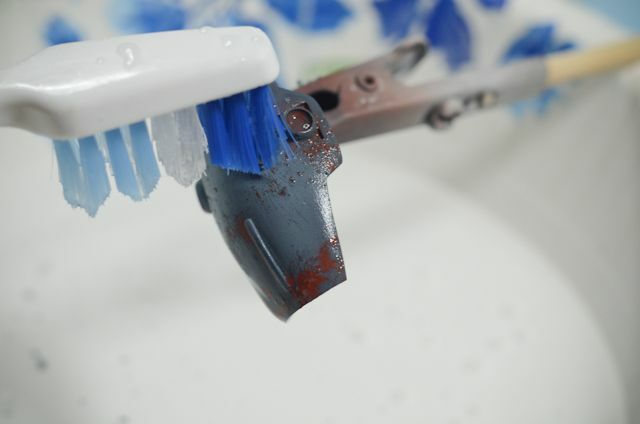 You can also remove the salt by just dry brushing it off, or using your finger, but dunking the part in water allows the paint to semi break-down and you can add more scratches using the toothbrush bristles. Make sure you brush in the direction of gravity, and only use light pressure. 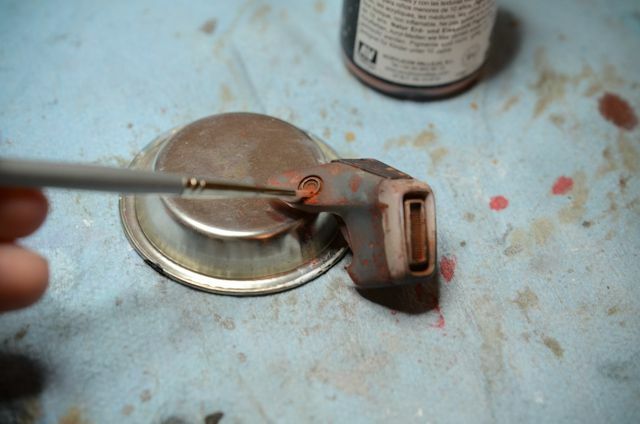 You risk stripping too much paint, or even the bottom rust layer of paint if you scrub too hard. Note: if you dunk the parts too long, the granular effect may become too moist and begin falling off. If this happens, see my quick fixes at the bottom. 9. 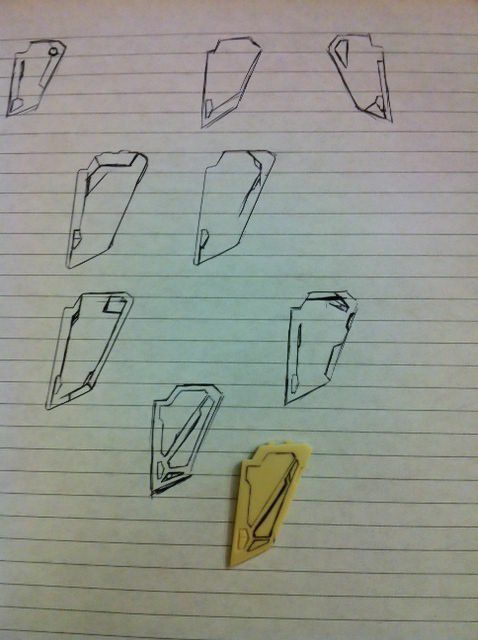 Put on your decals. You can put a satin layer here prior, but I usually don't unless there is a tricky part. 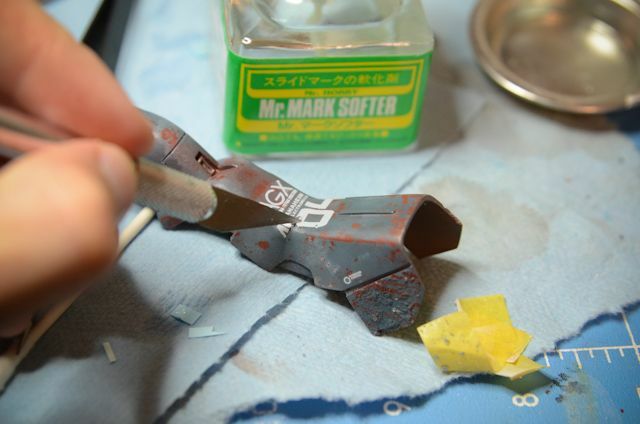 Once your decal is on, lightly brush Mr. Mark Setter (or other decal solvent) and let it dry completely (but do not wait more than an hour after it is dry for the next step). 10. Weather the decal. 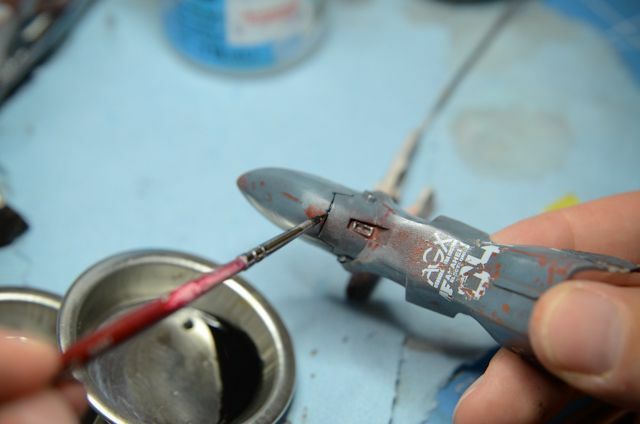 I find the flat edge of the Tamiya paint stirrer to be one of the best implements. Toothpicks also work well. 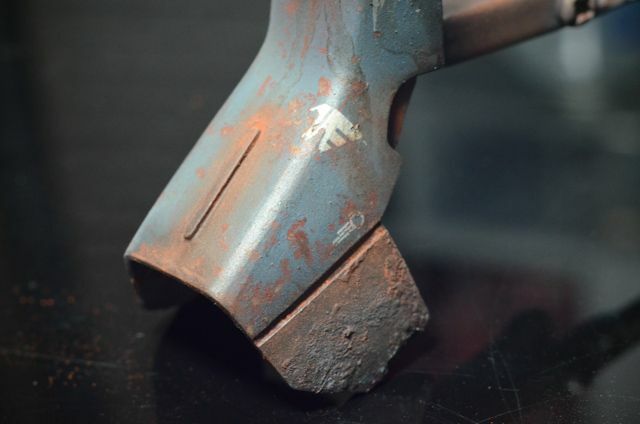 Try to remove around areas that have already been chipped with rust showing through - work with the part's now 'natural' rust areas. As you work with this more, you will understand how this process works. Unfortunately that's all the guidance I can give on this step haha. 11. 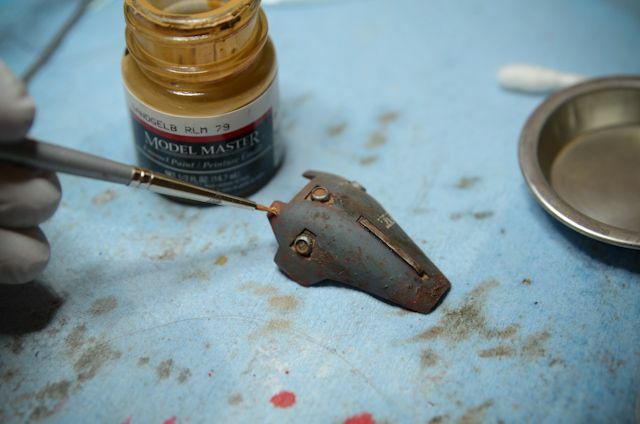 Paint metallics - make sure you also work with the rust - painting around areas that have been chipped already. If you want a metallic area to have more rust areas, look at my Quick Fix section at the bottom. If you would like, you can put a satin coat on before you paint metallics here. 12. Paint a Satin coat. You can even go Flat here. This will be your last protection coat. 13. Start a panel wash for the panel lines. 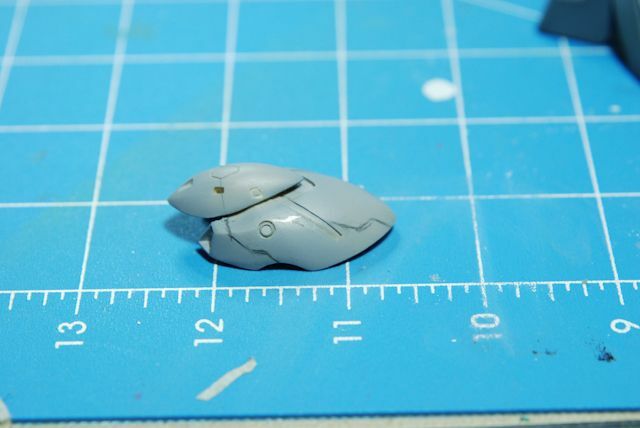 I use acrylic paint and thinner here, just make sure you only do actual panel lines, and use a thin brush. 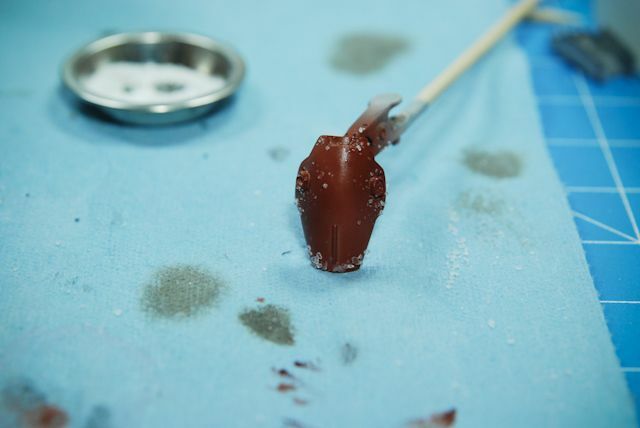 Mistakes can be cleaned up with a Qtip and a little bit of thinner. Only a LITTLE though. 14. Begin a black oil wash. Be conservative here. Only do it around areas that actually would leak rust. This would be areas with vents, joints, and screws. Squeeze a small amount of the black oil tube into a mixing pan and a bit of mineral spirits as well. I use a thinner brush here (not crazy thin), and my mixing ratio is about 3:2 (mineral spirits to paint) - not too thin, but not too thick either. Only make drips and oil flows that go with the flow of gravity. Let it dry for 24 hours. 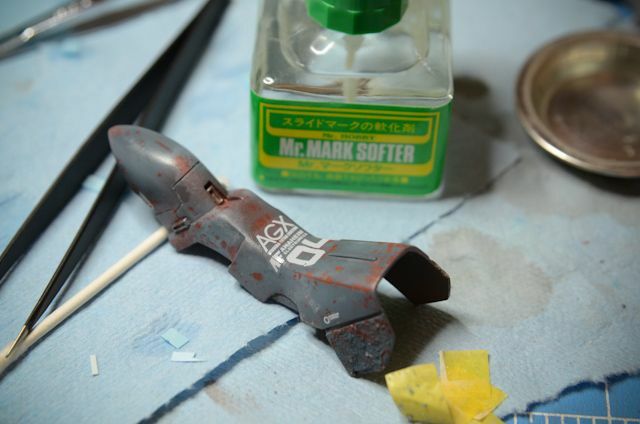 Try my tutorial Gundam Building 101 - Simple Oil Washes. 15. Here you can paint sun fading/water drip areas that have desaturated the color of the paint. This is hard to do and is done solely by brushing. You can use a q-tip or a rolled up piece of paper to smudge paint strokes to make it look more natural. I consider this part optional. The "white-ish" streaks in the middle of the picture comes from a very light blue enamel paint (coordinated with my dull blue). I used a thin brush to paint it on, then with mineral spirits, I think it a bit and smudged it. 16. Start your oil wash with warms - I will mix brown with red or yellow, or just do straight brown. 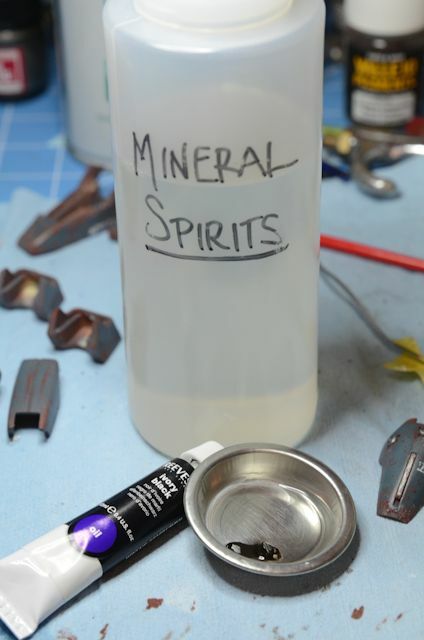 Still mix with mineral spirits, and make it more thin than thick here for your mixture. Paint the entire part in a thin layer. 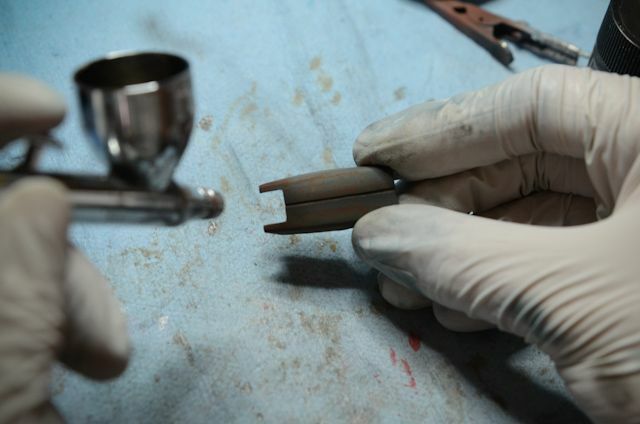 You should see your part begin to come to life (finally). Let it dry for 24 hours. The more paint you put on, the heavier it will look. 17. 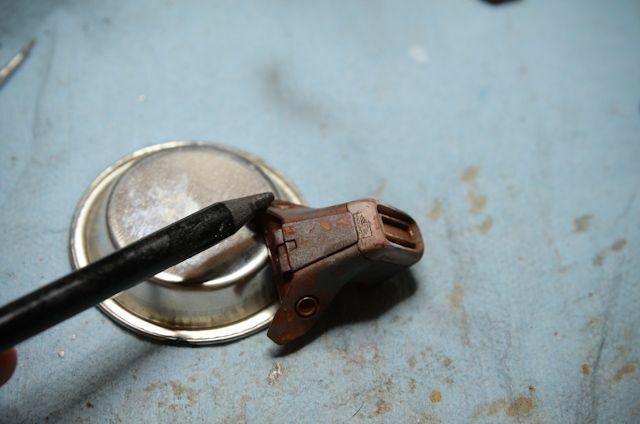 Hand paint a lighter rust color in the middle of larger rust areas. Rust chips and fades from maroon to yellow. I go in with my dark yellow here and a small brush. Again to diminish the appearance of using a brush, I'll use a Qtip or rolled piece of paper here. 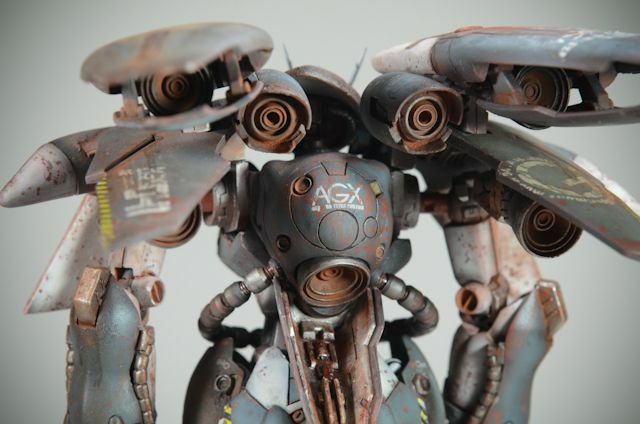 You can also paint rust areas where you think it is lacking. Make sure you do not cake the paint on. 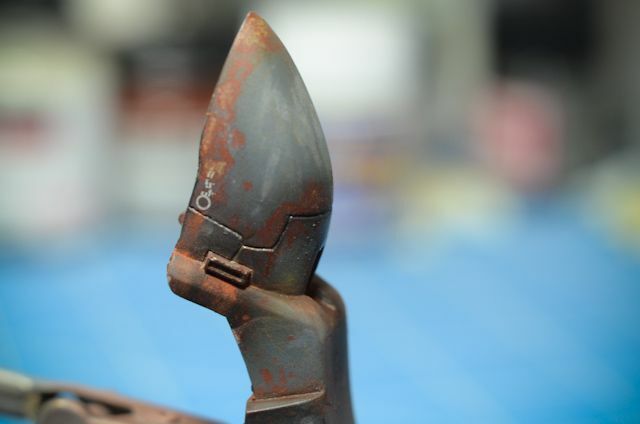 Rust chips away, and if you can tell the rust was painted over the original paint job, it takes away from the realism. 18. 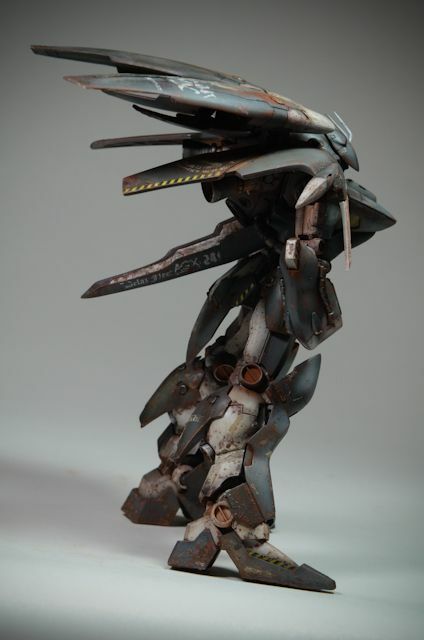 Do some light post shading and create jet exhaust fumes using 70% thinner and 30% black acrylic, . You want the mixture very light, but not so light you have to paint 10 layers to even see gray. In order to even see that you've painted over an area it can take as many as 3 layers to show. Because you're using acrylic, it dries quickly. 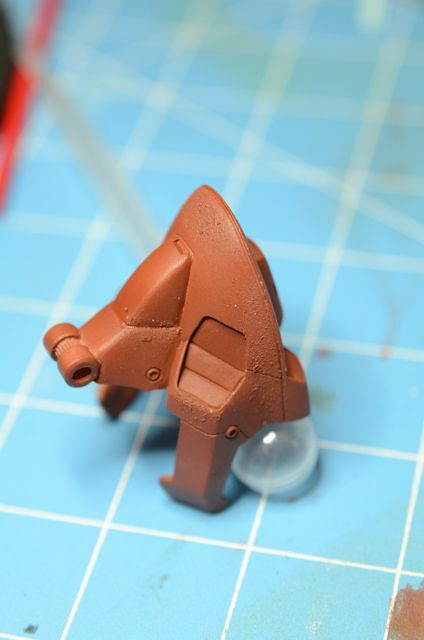 After I paint a layer, I will just use the airbrush to air dry the layer I painted. This step adds a lot of depth. Don't go overboard though. 19. 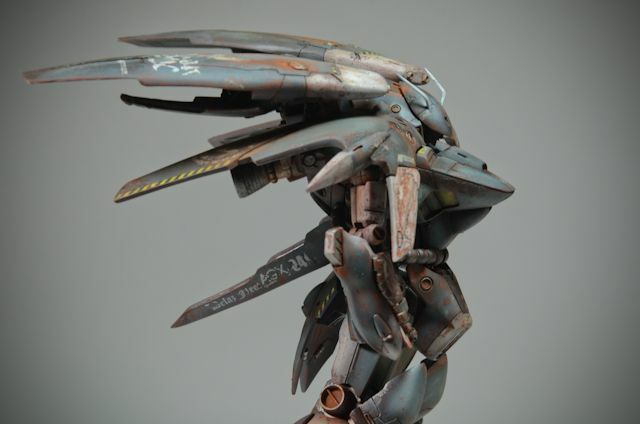 Use the graphite pencil around edges to create a metallic sheen. Awesome effect, easy to do. 20. Using a short thin brush, use the rust pigments (dry or mixed with thinner), starting from the darkest color all the way to the lightest. Use the yellow the least. Be conservative. You CAN use too much pigment, and it will take away from your beautiful post shading you did in step 17. 21. Voila! Congratulations on a job well done. 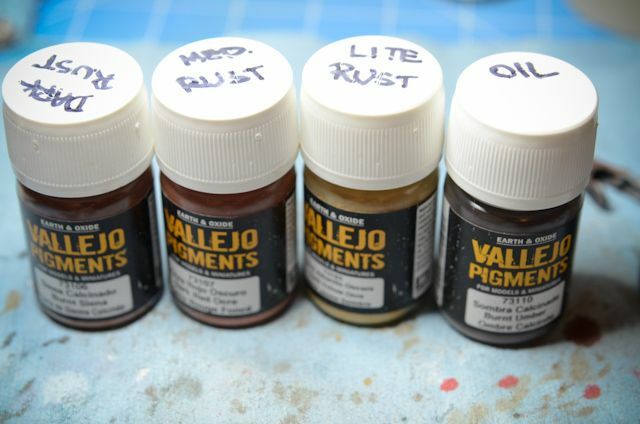 I bought a set of Vallejo pigments (a bit cheaper than MIG pigments, but work very well), this is the set I bought. I labeled the caps so I wouldn't have to second guess the color effects I was going for. Check back often. This section will grow as I continue to read through it and think of things to add here. 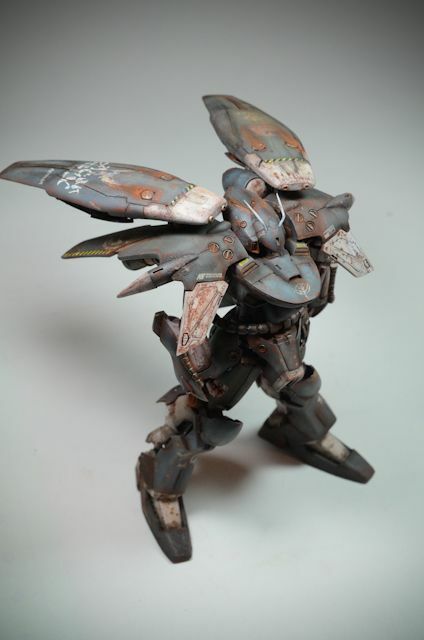 If you're looking to weather a piece, or just create a cool effect on different panels of a wall, an oil wash is an easy way to get this effect with minimum effort. This very well may be my shortest tutorial. 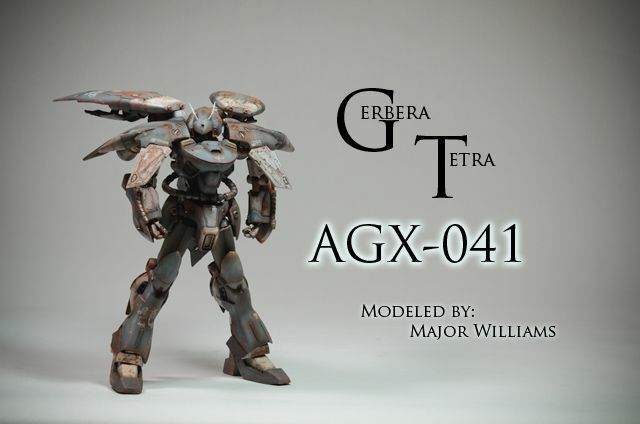 I wrote it separate simply because I heard many people talk about it, and didn't see much on it in the way of gundam modeling. The basic concept of this is to apply a thin layer of oil paint (which is kind of greasy when mixed with mineral spirits) on a painted piece. 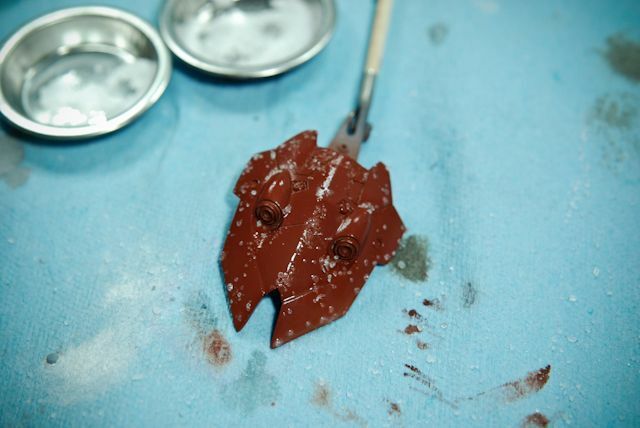 This will tint the piece slightly (or heavily) in whatever pigment you're using. - Brown is used for earth and general rusting. 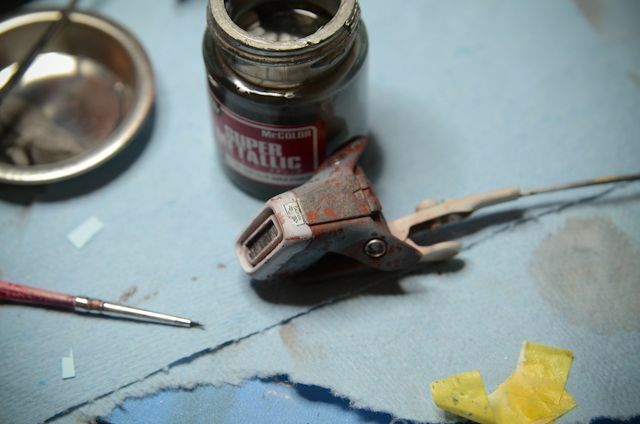 - Mix reds with browns, or use red ochre (if available) for a rust shade. There are many more applications - be creative! 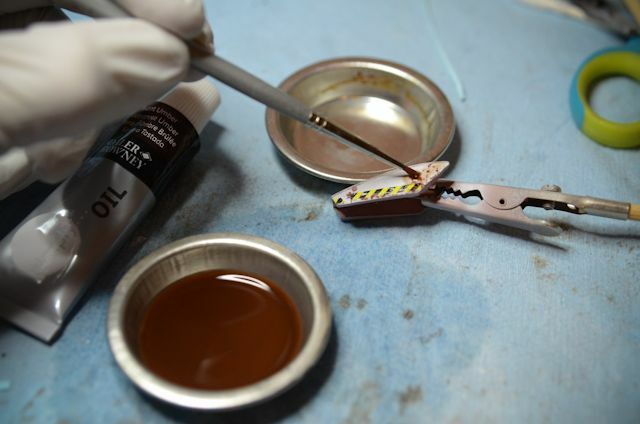 - To tint a piece, just paint a thin layer across the entire piece. Make sure as it is drying it is set up the way you want gravity to pull the paint. - For specific areas, use a detail brush and grab a bit of paint and just drag it down with the flow of gravity or whatever is spitting out the color you're using. - Paint oil leaks/ detail washes first! 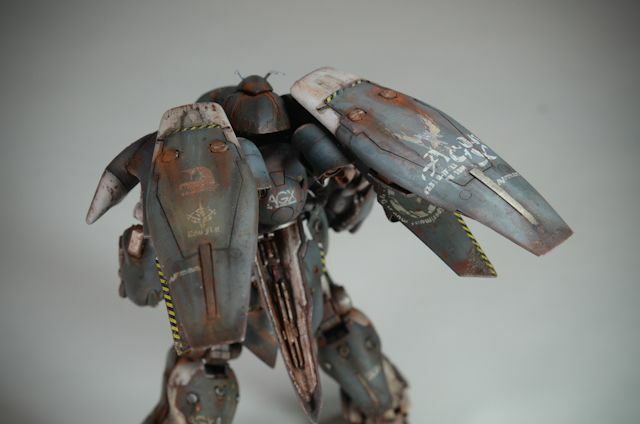 Then apply the whole layer of a wash if you're weathering. I.e. 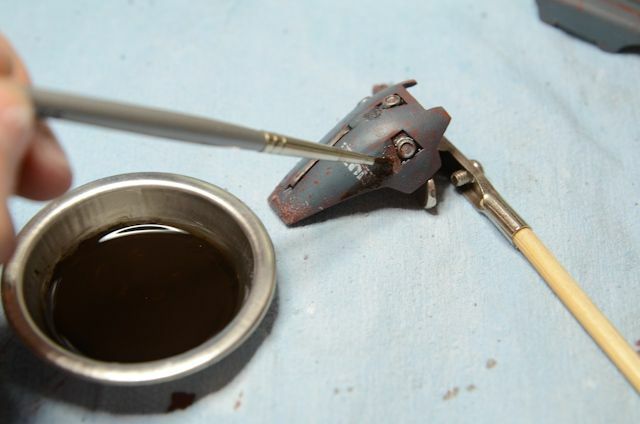 paint oil leaks out of a vent with a black oil wash, then paint the whole piece with a brown oil wash.
1. Squeeze a small amount of the oil paint into the mixing cup, and mix with a small amount of mineral spirits. The mixture should be a "milky" texture. To determine this, pull a bit of paint with the paint brush up to the edges and watch as it falls. If it falls very slowly, add more mineral spirits, if it falls VERY quickly, add more paint. 2. Paint to your hearts desire! Just make sure you use caution and patience when painting. You CAN go overboard, and you can paint too light of a layer that you'll have to do it again. Be very choosy with your streaks if you're only painting oil leaks. If you have any further questions, or need clarification on this, just ask! 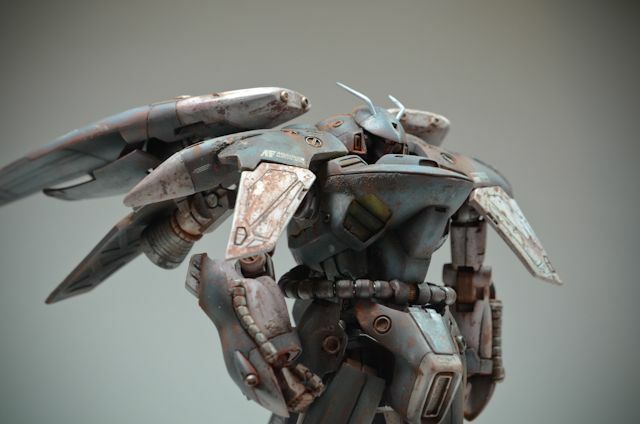 This is intended as a side tutorial for my large weathering tutorial. Finally I'm going to start this. Instead of an afterthought of a project like I had originally intended, this will be a full project. 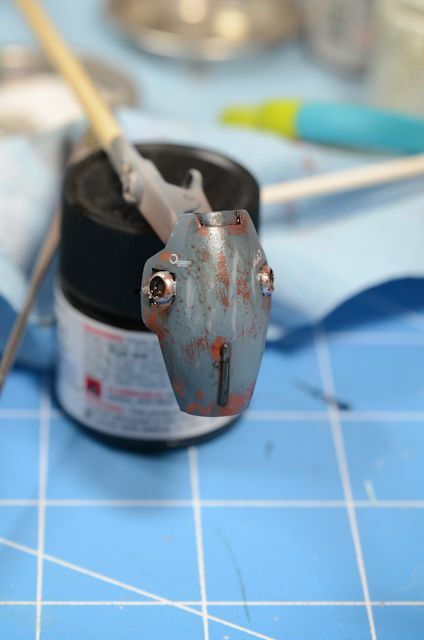 I am going to attempt minor weathering with the salt painting technique and some pigments. I painted a little today to see how the colors I was planning on using were going to look. I say awesome. 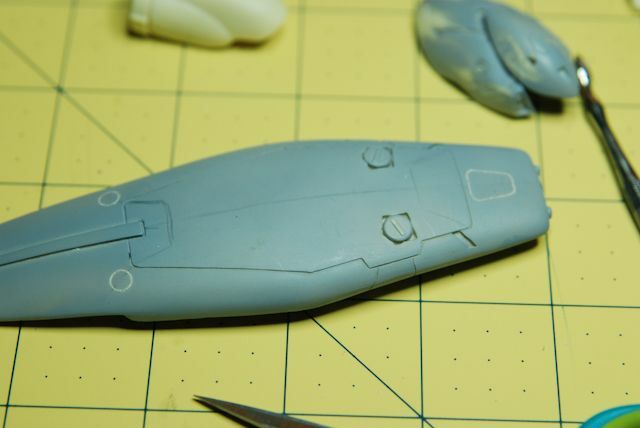 I've preshaded using Tamiya's medium blue and added white to get the "shaded" look. 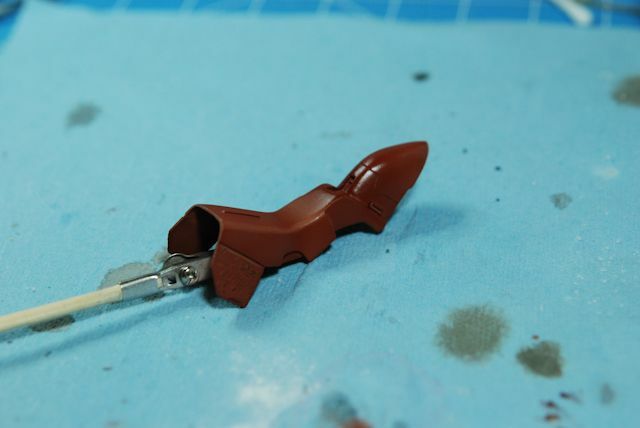 Next I'm going to begin the panel line creation. Then I'll probably give plastic plating a try. 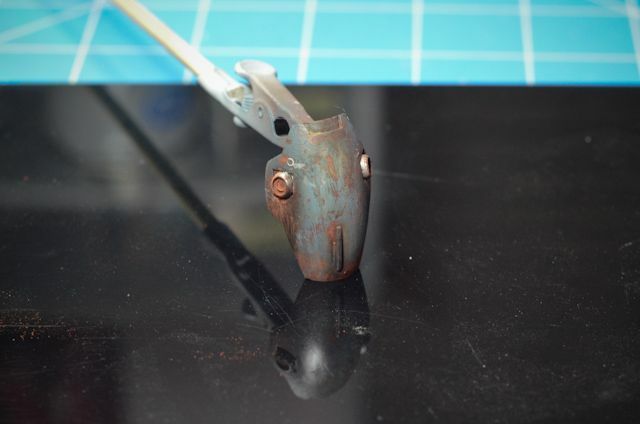 Just started some prep work for other, more rusted surfaces. First, airbrushed Rust on, then clear coat, then hairspray/salt. It's tough to put on in the way I would like it to. 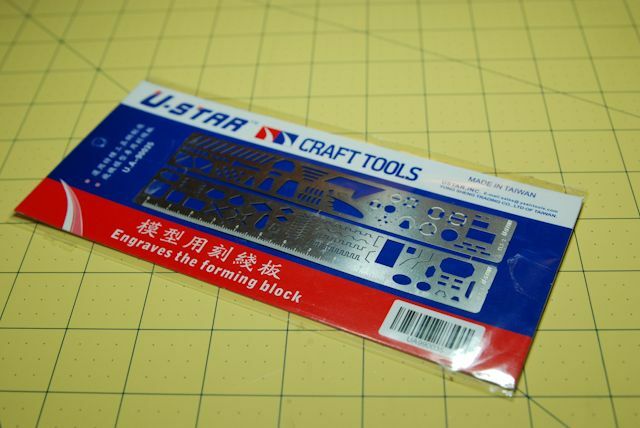 Also, I acquired this handy tool: Tested it out, pretty decent IMO for ~$6. Better than anything I could get in a local shop. 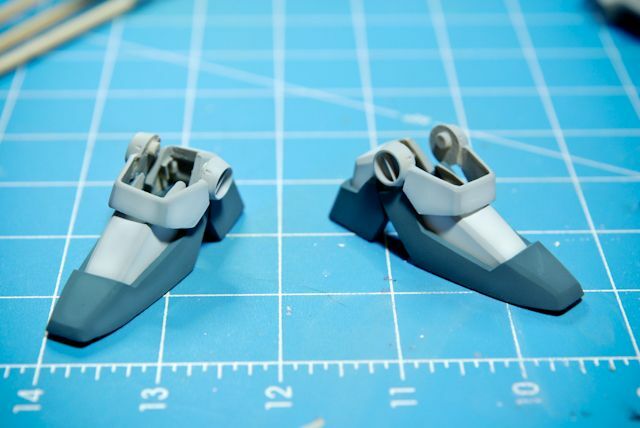 So I've figured about 25 steps in all starting from priming to finished for a full weathering. I'm at about step 17 or so in the process on my 2 beta pieces, so bare with me. Dunking the pieces in H2O makes the salt rub off easier, and allows the paint to be 'scratched' a bit more realistically too. Pieces have been salted, panel lined, decal-ed, metallics painted, and a black wash for oil drips/water drips has been added. 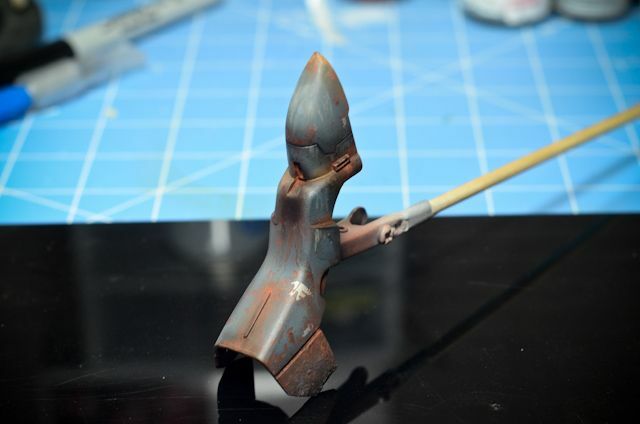 Next is the brown wash and real fun work of weathering. 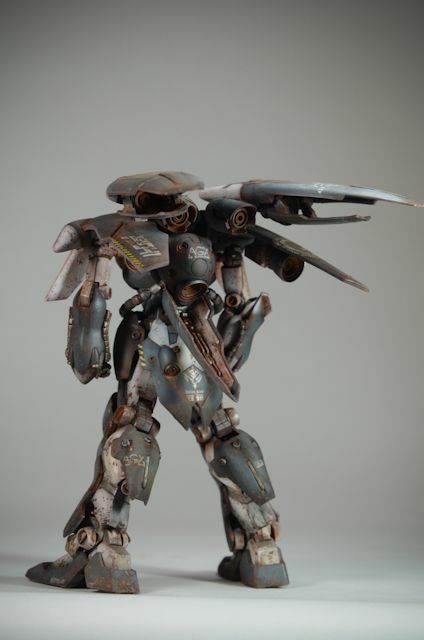 I think I am going to go for a really weathered scheme with this guy. 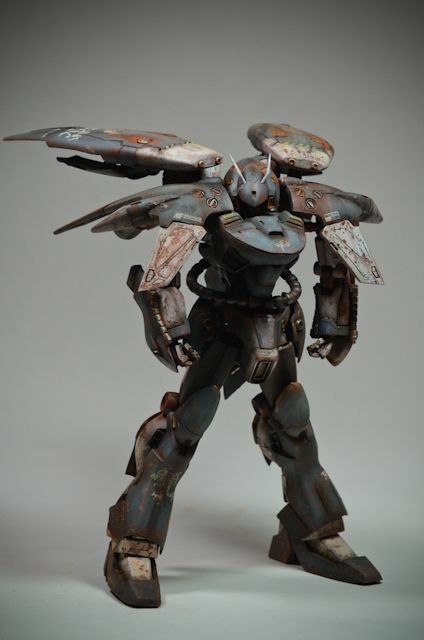 In order to effectively use weathering techniques on other kits in the future, it would really help me out to truly understand how each technique is applied in the fullest sense. 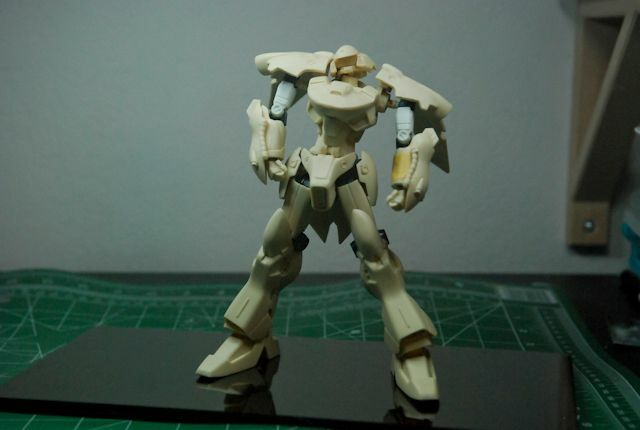 How it will make this kit turn out, I have no clue. It could look great, or it could look dumb. Hopefully not the latter :D I would really like to know what you think of the weathering - if it is in indeed too much, tasteful, where I could have improved, etc. I took some macro shots to expose my work here and welcome some friendly criticisms. Your words go a long way! Thanks ahead of time. Really. I will be making a full tutorial now that I have finished these pieces. So far, the technique from Primer to finish takes 25 steps! I think I may have to add a few more too haha.